Recent incidents, including several locally, have shown that transactions originating from online marketplaces such as Craigslist and Facebook Marketplace are seeing an increase in fraudulent transactions and often times a precursor to more violent crimes including robbery. 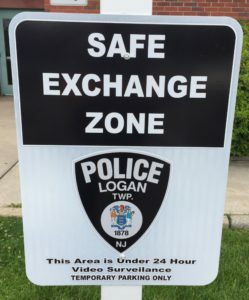 In response to these incidents, the Logan Township Police Department has designated a “Safe Exchange Zone” for online marketplaces. A parking stall adjacent to Police Headquarters is available to the public as a “Safe Exchange Zone” for conducting in-person transactions that have been facilitated through online marketplaces. The designated “Safe Exchange Zone” is available to the public 7 days a week for conducting in-person transactions that have been facilitated through these markets. Access to the police lobby may also be granted during normal business hours and may be arranged in advance by calling the police department. The Logan Township Police Department makes no guarantees, assurances, or promises as to the safety or security of any in-person transaction that may take place on township property. 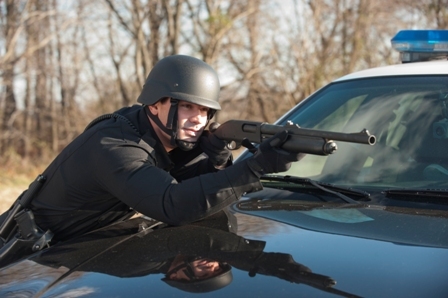 The Department will not provide personnel or staff to witness any transaction. While the department will not provide staff to witness these transactions, the building’s video surveillance and proximity to police HQ is meant to increase the public’s peace of mind when they meet strangers to buy or sell an item.